Now I’m not going to post my whole collection on here all at once… of course. But I’m going to share what I get each week, sometimes my favourite items and anything else Superman related. Now firstly I went to Smyths Toy Store and got a little carried away! There were lots on sale and not at bad prices too! When I went to pay the lady said “Ahh your son is gonna love these”. Little did she know they were actually for me and never going to be opened! 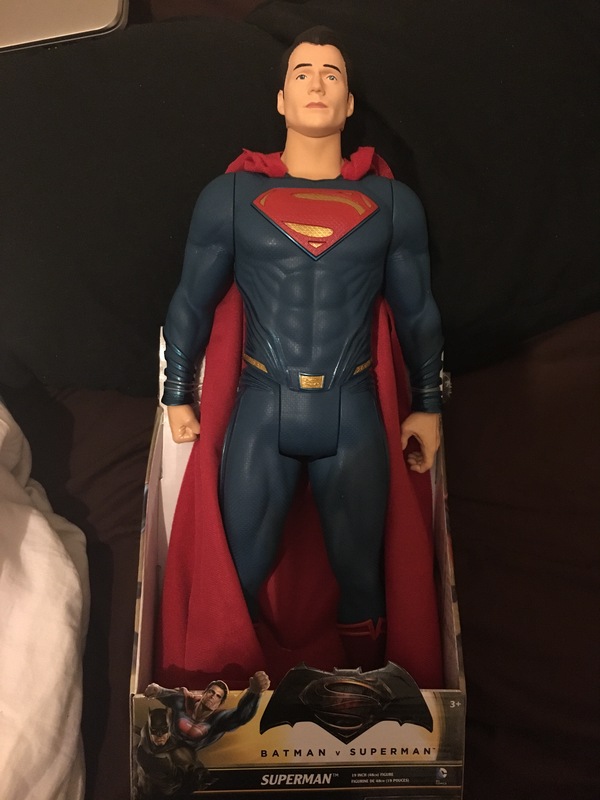 1: Superman 19inch figure from Batman Vs Superman. eBay will most definitely be the death of me. I’m always looking for Superman items on there even at times when I have no money, if I see something I want, something I like and something cheap and cheerful. I HAVE to get it! 4. 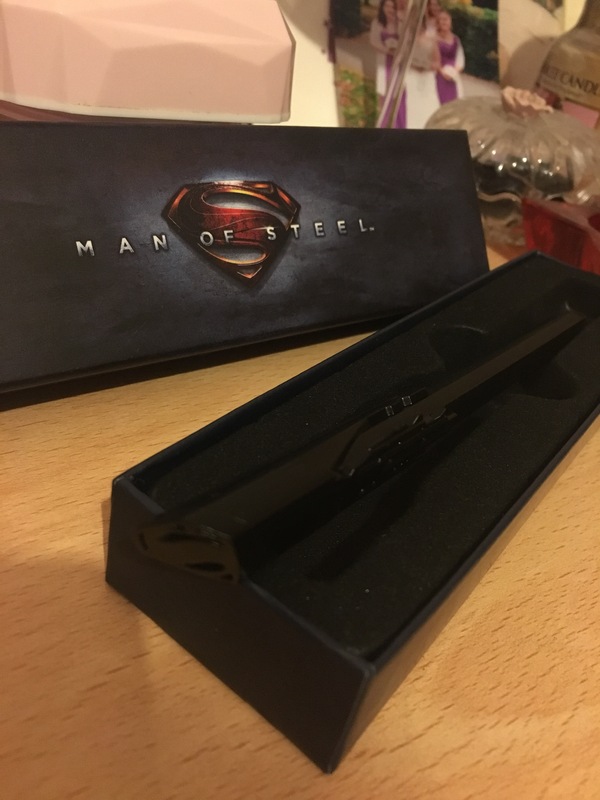 This AWESOME Man of Steel Command Key Pen. It’s hard to see the detailing but it’s beautiful! 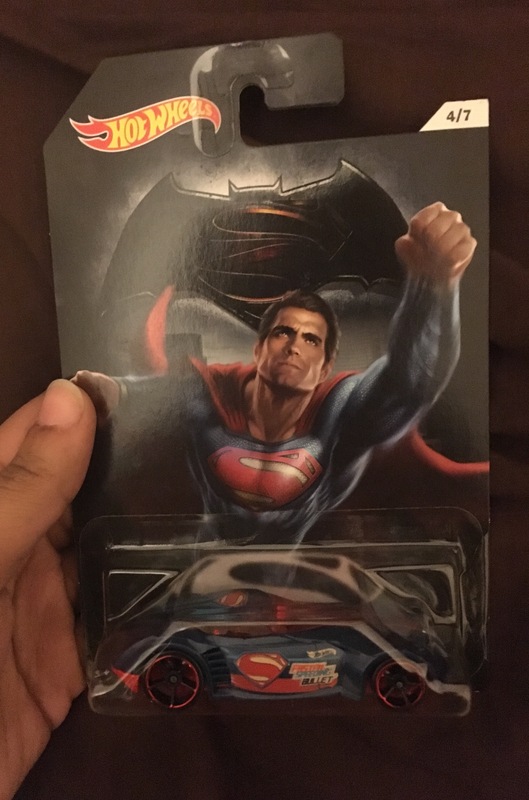 Also comes in a collectible Man of Steel box. Anyone uses this… they’re in trouble! Aaaaand taking it back to the 90s. 5. 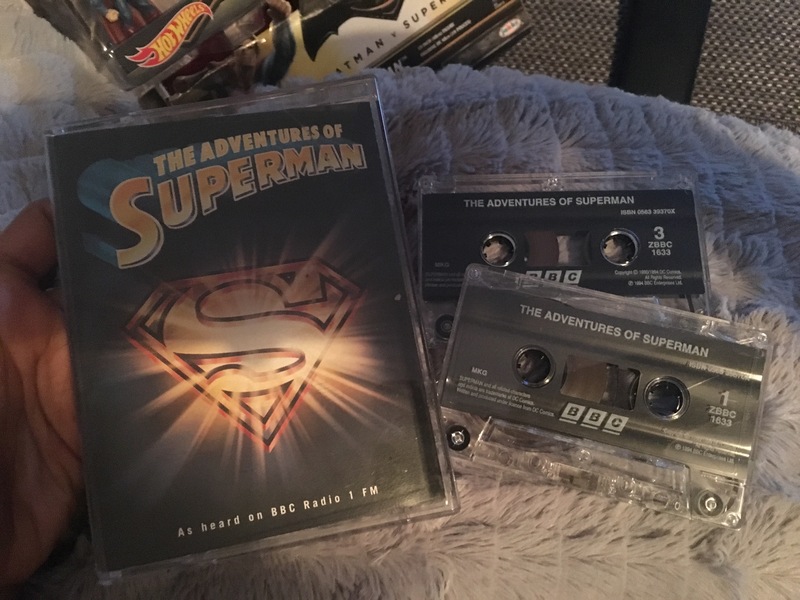 The Adventures of Superman on BBC radio 1 Cassette, in perfect condition. 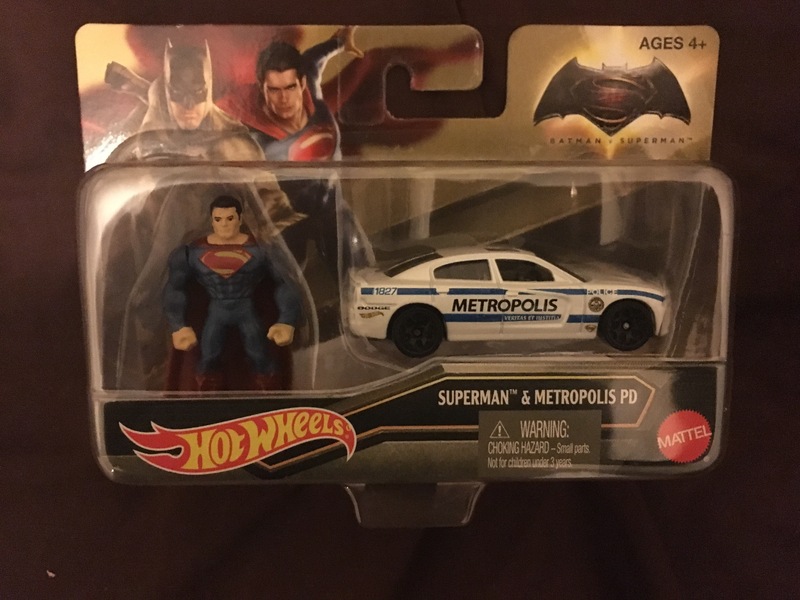 Check out my most recent Superman collection updates, click here.